It wouldn’t surprise me to learn Keith has a humbucker in his neck. But anyway. I decided to go with Seymour Duncan pickups, because my experience with their products has been superb so far. 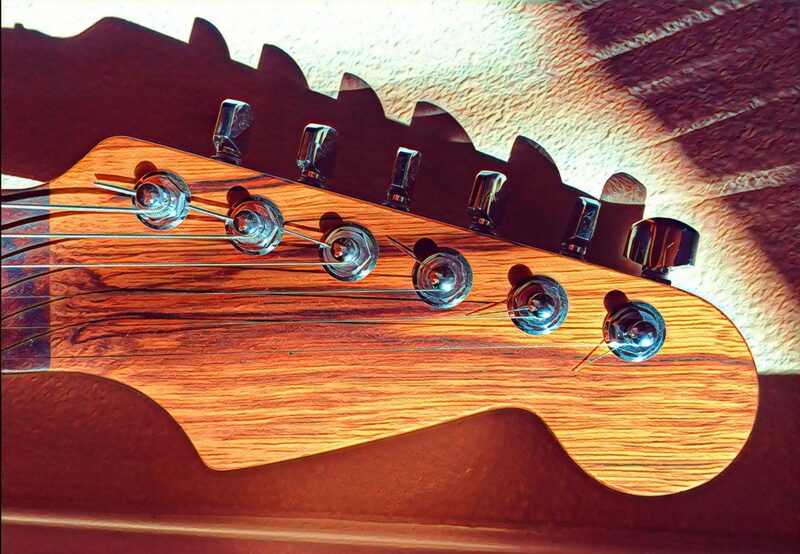 My humbucking neck pickup will be a “Pearly Gates” and my bridge single coil will be the “Quarter Pound for Tele”. Also, I decided I wanted to use a 4-way switch, to get all of: neck, bridge, neck+bridge in parallel, neck+bridge in series. Since this is a fairly common Tele modification, it turns out that Seymour Duncan actually has a wiring diagram for exactly my setup! So no need to do my own wiring, like I had to do with guitars #1 and #2. Here is the Seymour Duncan wiring diagram. The hand wired job they did is much better than I could do and I double checked the wiring against the Seymour Duncan diagram and Emerson did it 100% correct. It really is a beautiful piece of work. It even comes with a treble bleed circuit installed – that is the tiny cap+resistor on the volume potentiometer. Once I get the body, we’ll see how this all works.